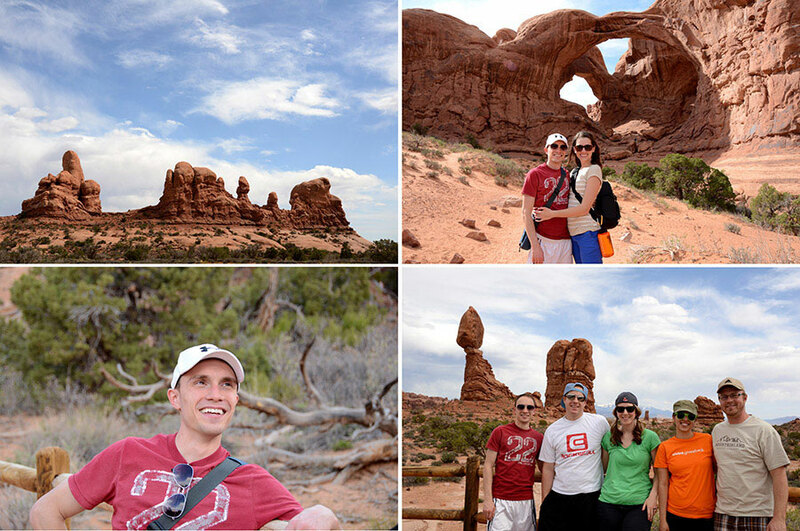 Have you been to Arches National Park in Moab, Utah? 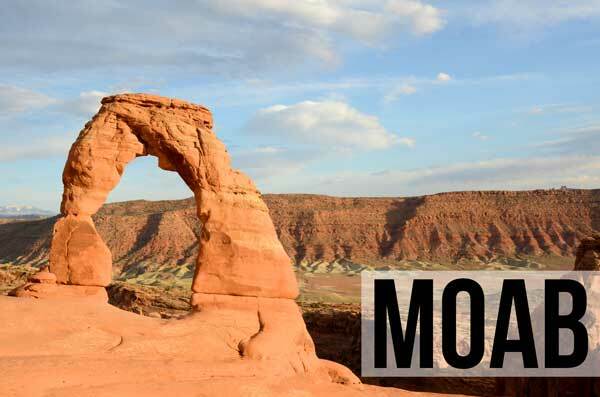 Even though I am a Utah girl, I somehow have never been to Moab. 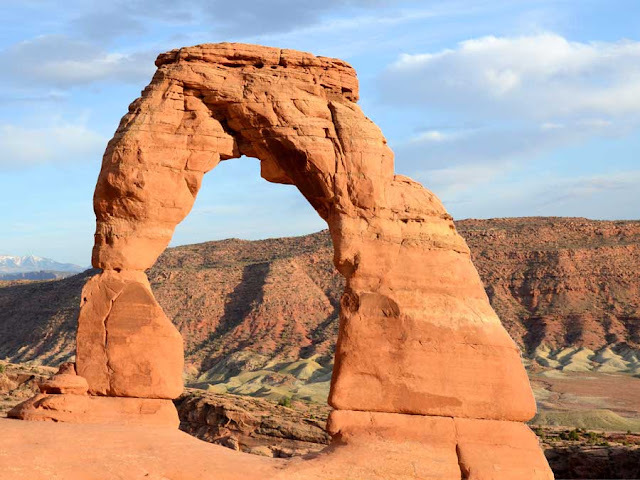 The Delicate Arch (the beautiful rock formation above) is like a state symbol, adorning our license plates and yet I have never made it down there. 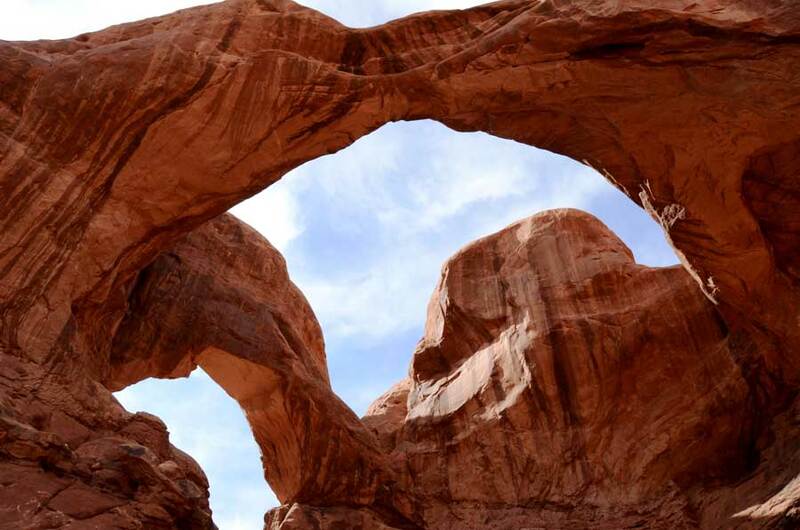 I learned as a kid that Utah's national parks are an international destination. Coincidentally, this is the same time I saw a European man wearing a speedo at a swimming hole in said national park. I have a feeling those two are related. We traveled with our wonderful friends Rex and Tania and Jenn and Rhett. Rex secured us his parent's minivan (holla!) so we could all ride down together. Let me tell you, we made it one bumpin' minivan. 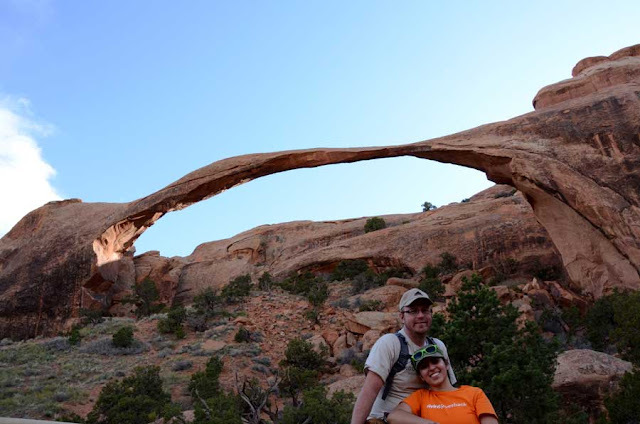 Above: Double Arch where we met darling German girls and some hilarious and strange Frenchmen. There we are, dwarfed by the 65-foot-tall natural standing arch. Getting this photo was no small task. What you can't see is the 100+ spectators directly across from us perched on a ledge to get the perfect shot. If you stand too long or get in the way, the crowd will begin to boo. 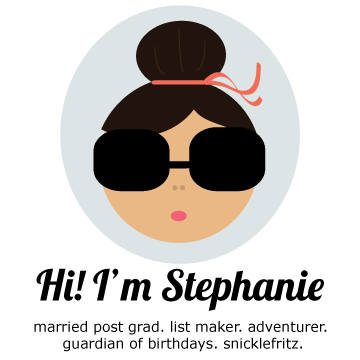 This happened to a street youth (any "New Girl" fans out there?) and he thanked the crowd by mooning us. Sunset is moody and breathtaking, but the mass exodus just after the sunset adds a little excitement to the arch. The minute twilight is over, everyone scrambles to make it down the trail before it gets too dark. Double Arch- just across from Window Arch, also very easy to get to. 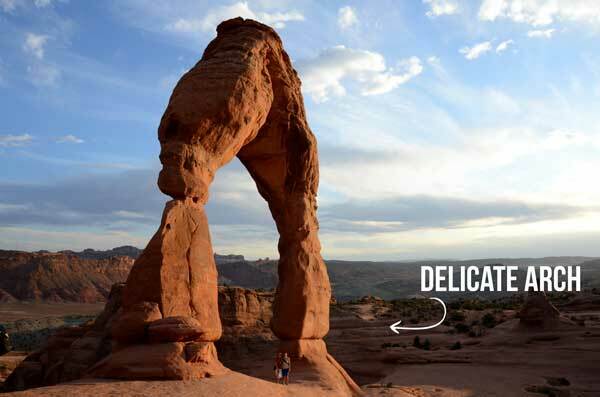 Delicate Arch- moderately strenuous. We hoofed it in less than 40 minutes each way. Definitely could take longer. Next time around, we will hike Fiery Furnace. It is recommended to do with a guide (unmarked, GPS doesn't usually work there, all out danger expected, etc) and it was sold out. 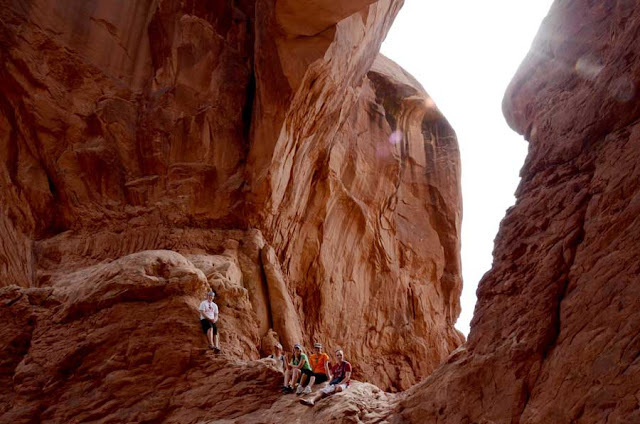 Outside of Arches National Park is nature's playground for mountain bikers, jeeping and rock climbing. 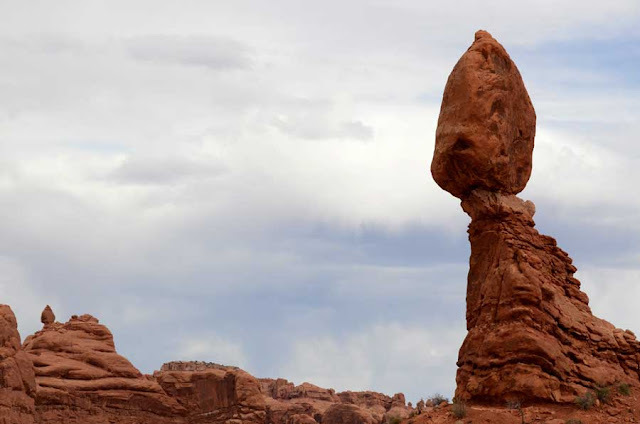 Moab has soooo much going on. You can even go sky diving. Many people don't even visit Arches when they go down to Moab. I can't wait to unravel the adventures in Moab. Take plenty of water. There are places to fill up at the trail head of different hikes, but not at all of them. Utah weather can be so dry, so take more water than you think and drink often. Get gelato at Moab Brewery. You won't be sorry. P.S. Have you seen the World's Largest Rope Swing? It is jaw dropping, even though it is super dangerous. P.P.S. Look at the word 'Moab' over and over again. Looks weird, right?